When you see pictures or skyline views of the Las Vegas strip, the iconic Paris Hotel Casino Eiffel Tower (at half the size of the original) is no stranger. I personally have countless pictures and still find myself, trip after trip, snapping more. If you didn’t know, there is a caged observation deck at the top of the tower and for one reason or another we’ve never been up there. But during our 1/2016, while in the casino playing, we happened to walk past a sign advertising the Eiffel Experience along with pricing. My wife noticed that FREE admission is given to those on their birthdays and to active military personnel. As that very day was my birthday, the FREE offer was too good to pass, so off we went to get my wife a ticket (Regular adult admission $19.25). Have your camera ready because from the bridge to the elevators to the observation deck itself, many, many wonderful photo opportunities await. 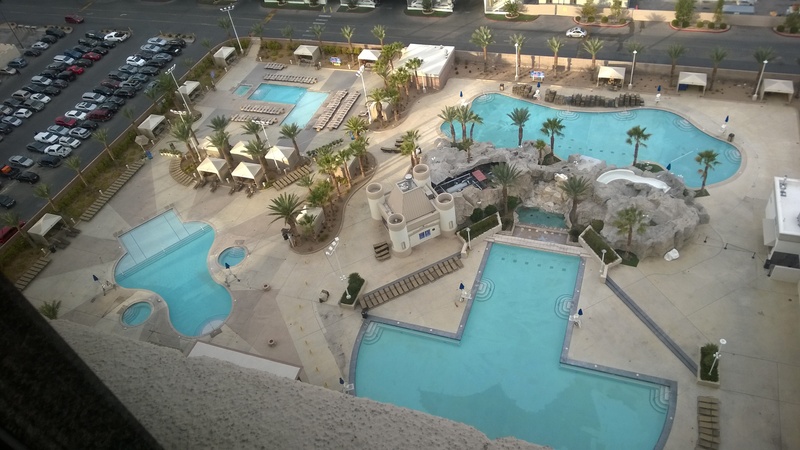 The 360 panoramic views of the strip and surrounding mountains is priceless. The Bellagio fountains are directly below and offer a unique viewing from 460 feet up! Do yourself a favor and plan to visit the Eiffel Tower Experience during your next visit as it won’t disappoint! Tip: The Club Sandwich is da bomb! Seriously large sharable dinner portion. Mirage’s Cravings Buffet – Cravings is a solid buffet option with several themed stations with a variety of consistently good food options. Since we often stay at The Mirage Casino Hotel we’ve visited this buffet probably more than any other. Excalibur’s The Buffet – If in the neighborhood and hungry for a buffet that won’t break the budget consider The Buffet at Excalibur. This recently upgraded buffet is well appointed with the usual buffet fare. Taste and selection is pretty good and the dessert area has a crepe station that I always look forward to. Red Rock’s Feast Buffet – Located 30 minutes west of the strip in the Red Rock Casino is the Feast Buffet. And a feast it is!! This is one tasty, well appointed, clean buffet. I can’t think of one thing that didn’t taste good. We went for lunch and it was very crowded but service and food item availability surprisingly excellent! MGM (not so) Grand Buffet – Saving the worst for last, you’re welcome. Wow, what a disappointment this buffet was. Went for dinner at around 5pm ($60, $30 each) and lunch was still being served. Talked to the manager as he happened to walk by. He admitted that the kitchen was slow transitioning (lunch ended at 3!) to dinner. I told him food dishes were empty and the place was a mess, and he agreed! Ironically there was plenty of cheap pizza coming out of the kitchen. No Thanks, refund please. The manager said a buffet remodel is underway and asked us to give them a second chance after completion. Since I’ve had good experiences with the Grand Buffet in the past, I just might do that, but not until the remodel is complete. Right from the start this place was a lot of fun and is worth a visit. 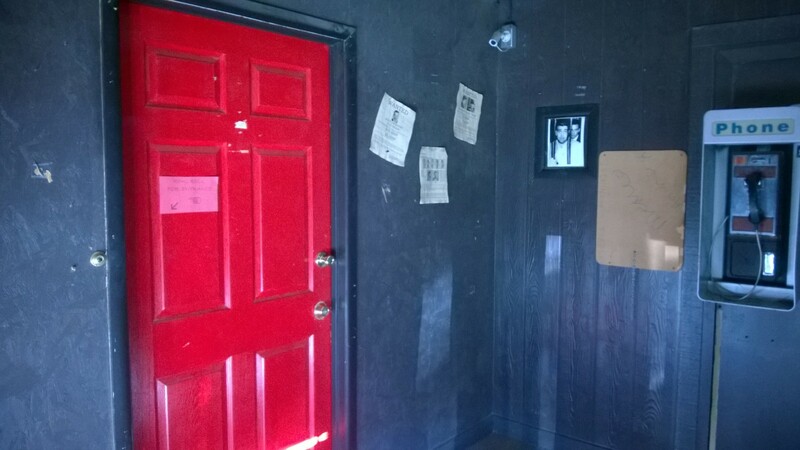 The “secret” entrance, the dim lighting with the mob themed décor, yes AND the food… cibo eccellente! Before our trip, as I always do, I searched Groupon and Living Social for food and activity deals. Since we were landing early Sunday morning the Capo’s Living Social deal for Brunch for two with unlimited mimosas ($29) immediately stood out. After a quick search of reviews (nearly a perfect 5 stars) I was pushing the buy button. 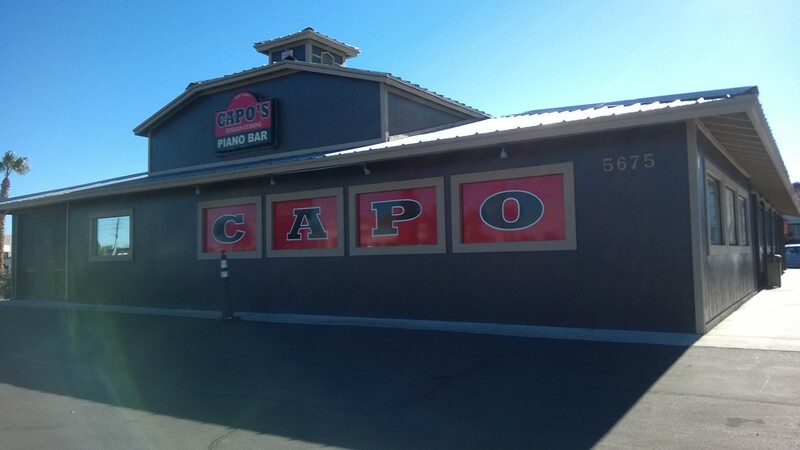 Note: Capo’s doesn’t open until 11am on the weekends for brunch. 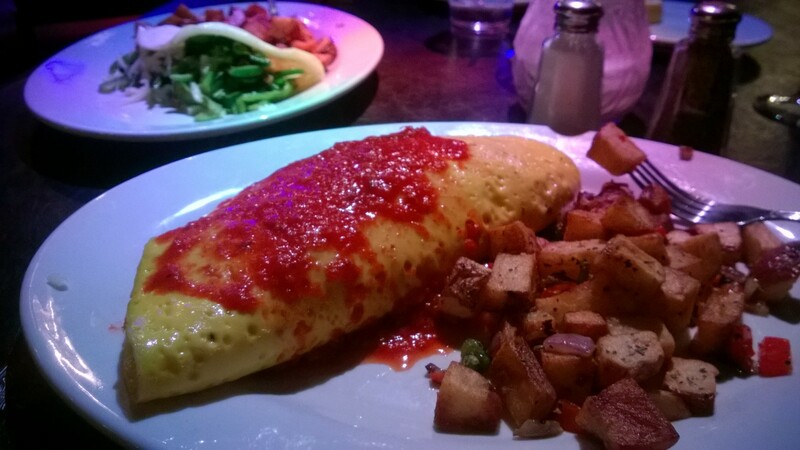 Even though we could have ordered off the lunch menu we were both hungry for breakfast so I ordered the Mad Sam’s Spicy omelet and my wife had Vinnie’s Veggie. Both omelets were made from 4 eggs and included home fries and bread, Mad Sam was filled with Italian meatball and sausage with a slightly spicy red sauce was unique and pleasantly different. My wife chose the vegetarian option customized to her taste and said it was the best omelet she’s ever had, if you knew my wife you would know what a powerful statement this really is. We both chose mimosas (5 in total..each) with fresh squeezed orange juice, super awesome! Totally enjoyable experience at Capo’s, a perfect way to start a vacation or celebrate any occasion. 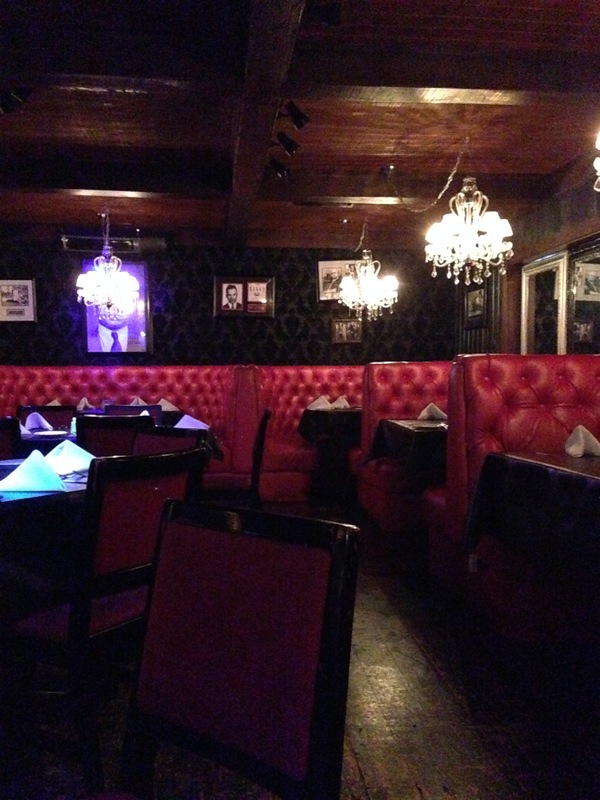 We had such a good experience, we both agreed we would love to return for dinner especially when the live, think Frank Sinatra impersonator, entertainment is going on. 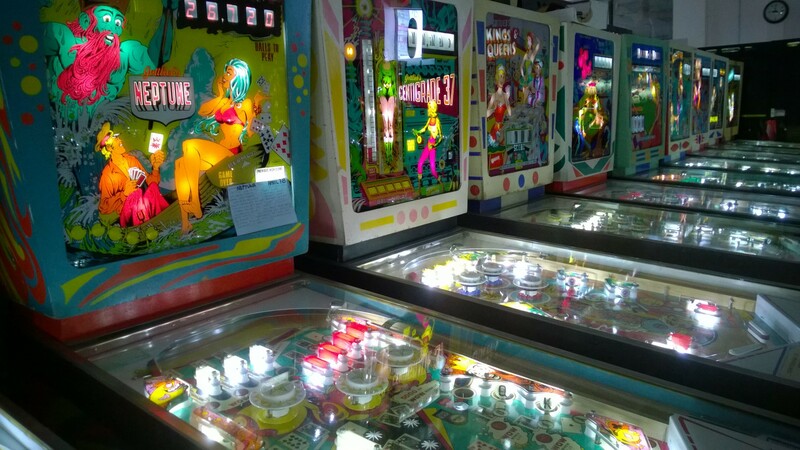 Did you know just a short drive from the strip, just east on Tropicana Ave, sits the Pinball Hall of Fame? Don’t let the name fool you, this isn’t a boring walk through the history of pinball. This is a working pinball arcade! No entrance or parking fees here. Drive up and park, turn your dollars into quarters, then walk the isles in awe at all your options. From the early days of pinball to the latest and greatest, so many options wait. With this being said don’t expect much glitz as this is a diamond in the rough and I hope it stays this way. The building is plain Jane with a banner announcing the name. Much like the outside, the inside is bland by appearance but what it contains is what matters. Along with pinball, some old school arcade games can be found. The cost per game is regular quarter play and machines run from a $.25 to $1.00 per game, with most being $.50. I cashed in $4.00 and played for a while, enjoying every minute of it. Tip: Not an easy walk from the strip, drive or take a cab. If you’re in anyway a fan of pinball, do yourself a favor and visit, you won’t be disappointed. north of mid-strip, on the west side of the street, between Caesars Palace and Treasure Island (TI) sits the “home” of Clark Griswold’s Vegas Vacation (Movie, 1997). 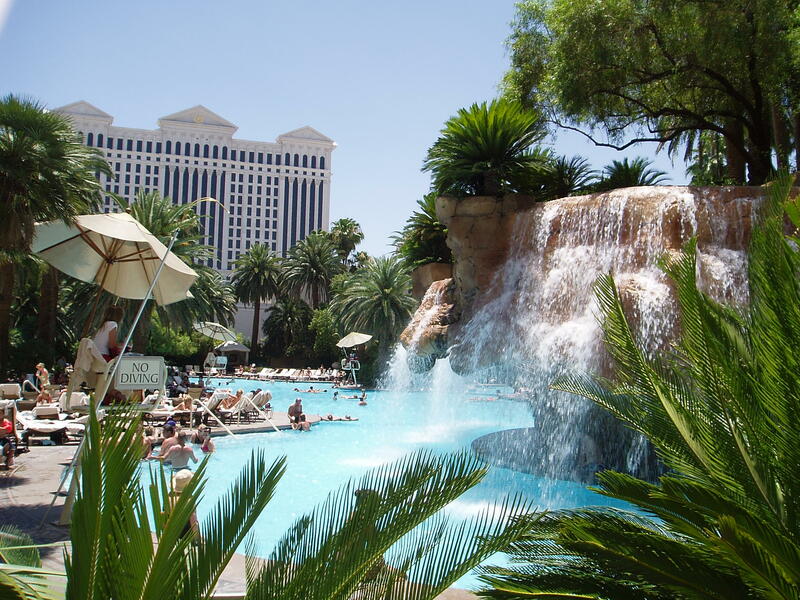 The Mirage is all good, except for their whopping $32.50 per night resort fee! 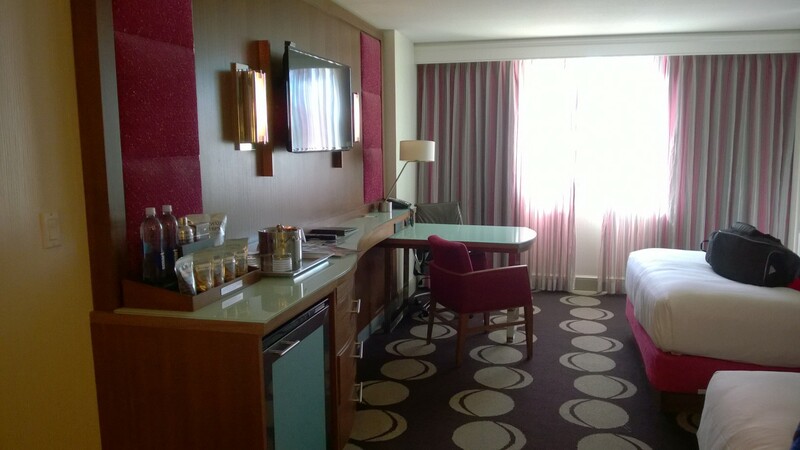 (as of 3/2015) But rooms rates during the week range from $50 – $70 plus the report fee and tax. Besides the great location and awesome palm tree lined pool the rooms are very well appointed. I find the bed and linens rival higher end properties. The Casino itself is another favorite of mine. 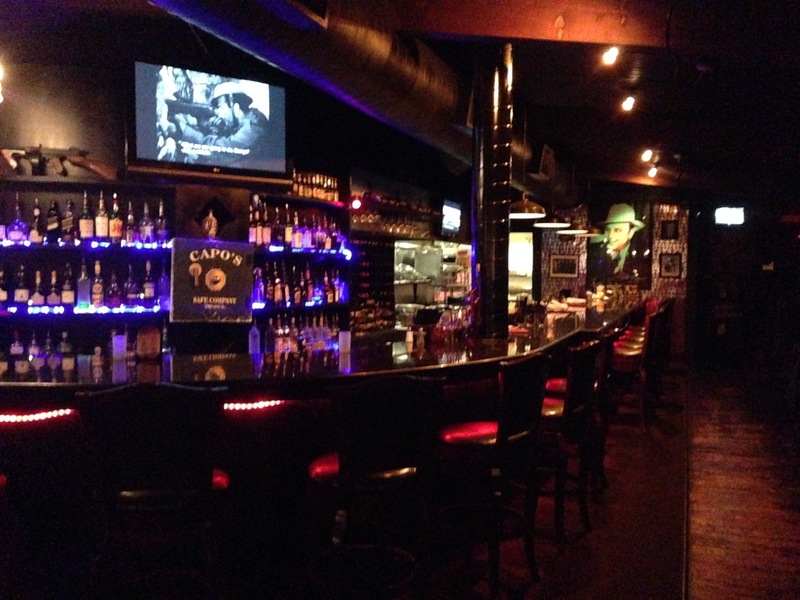 I love to play here because I typically do well and drink service is pretty fast and friendly. Plus the sportsbook is front center and large enough to handle a crowd. The property has several good food choices (BLT Burger, Carnegie Delicatessen, and California Pizza Kitchen amongst others) and Cravings Buffet (very good). Tip: McDonald’s, Panda Express, and chipotle is just across the street for reasonably priced eats. Tip: The Mirage is the home of the daily volcano eruption (my video), a FREE must see attraction! So much positive to say about the Mirage, just do yourself a favor and stay a night and experience it for yourself. Not because they’re both “castles”. It’s because Excalibur may not be your first choice, but in the end it doesn’t leave a bad taste either. It has its purpose and that purpose for me is inexpensive consistent lodging. 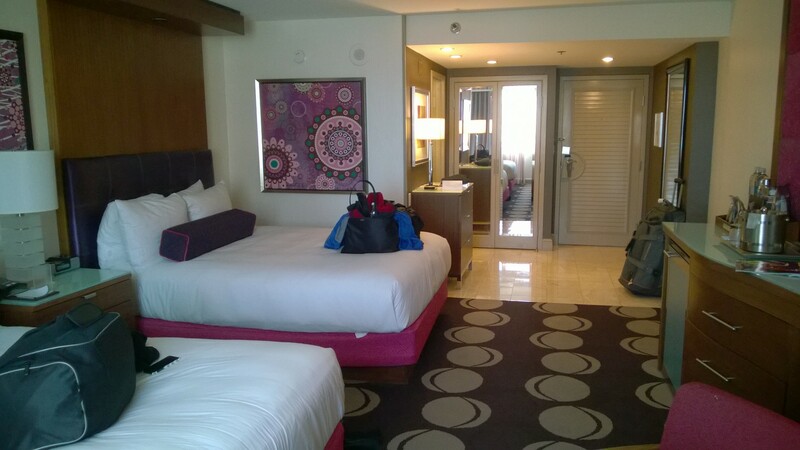 The rooms are clean, bed and pillows comfortable. We usually end up here when conventions or major events are going on causing other preferred options to go through the roof price wise. Tip: I’ve stayed in both towers and Tower II rooms are, in my opinion, nicer/better condition. Tip: Food Court upstairs offers many less inexpensive food options. Never chilled pool side but it didn’t look bad from the 25th floor. 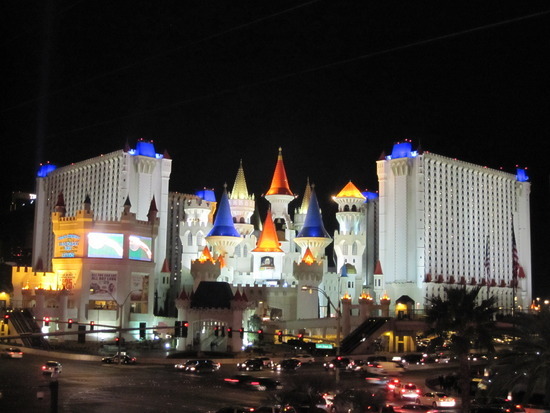 The casino and castle grounds could use some modernizing like neighboring properties New York New York and Monte Carlo. I don’t know if it’s “Fresh from the Farm” but it is large and tasty. If you are hungry and strolling mid-strip do yourself a favor and go upstairs of the “new” Linq (Formally the Quad, Aka. Imperial Palace) and belly up for some Go Go lov’n. Keep your eye open as you’re escorted to your table for large, I got to have that, eats. Service was great by our nearly 60 y/o waitress. She was knowledgeable and more than willing to share her thoughts about Hash specialties. 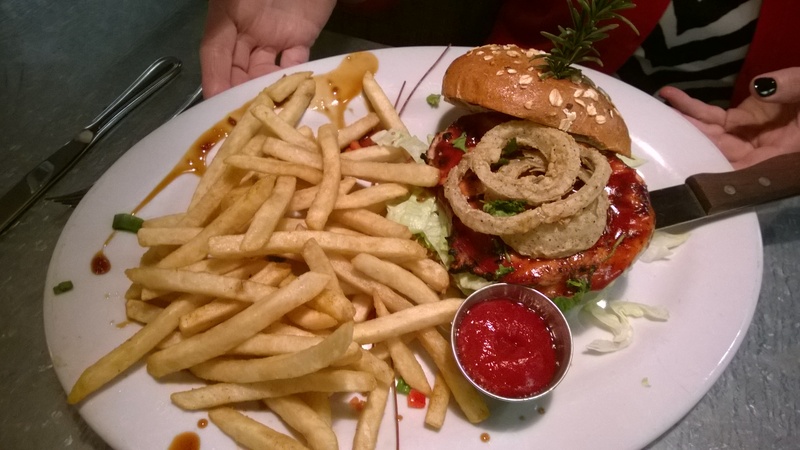 Tip: Visit the Las Vegas Hash House of Go Go Facebook site. Give them a like, then E-Club Join under more to receive a coupon for Buy One, Get One Dinner Entrée (coupon good for a year). Tip: By joining the E-Club you will also receive a Buy One, Get One Dinner Entrée (coupon also good for a year) in your Birthday month. Oh you bet I will be returning!